MuscleTech® Pro Series AlphaTest® is scientifically engineered to deliver the most powerful testosterone-boosting ingredients on the market today to stimulate free testosterone, maintain peak testosterone-to-cortisol ratio and enhance training performance! AlphaTest® is formulated with boron citrate that supplies a precise dose of boron shown in a recent 2011 scientific research study on eight healthy male volunteers to significantly increase free (active) testosterone levels and decrease estradiol levels after only seven days. Featuring PrimaVie®, a patented clinical-strength form of shilajit. Shilajit in its natural state has no chemical definition. In order to yield a consistent and efficacious form of shilajit, it is obtained from carefully selected rocks and is put through a patented technology to purify and standardize it. This form of shilajit is now assured of optimal levels of bioactive components such as fulvic acid and dibenzo-pyrones. This rare organo-mineral compound has been shown in clinical research to significantly increase total serum testosterone levels in 90 days. In another study, shilajit was shown to boost ATP levels in just 15 days! 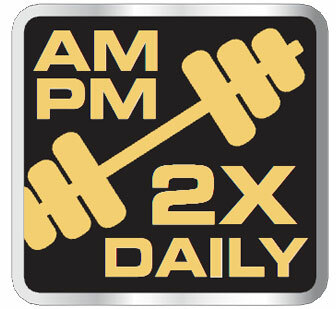 ATP is a critical energy source used during workouts. Protected under U.S. patent numbers 7, 250, 181, 6, 869, 612, 6, 440, 436, 6, 558, 712, and other pending U.S. and foreign patents, each of which is owned by Natreon Inc. Natreon is also the owner of the registered trademark PrimaVie®. Biswas et al., 2010. Andrologia. 42(1):48-56. Fenugreek is an annual leguminous herb that has a long history of traditional use. Unlike some competitors who use a lower standardization, the fenugreek used in AlphaTest® is standardized to 50% saponins – giving you a potent, advanced compound. Prasad et al., 1996. Nutrition. 12(5):344-8. This potent formula works with the body to naturally increase testosterone levels while staying within the normal healthy range! Each bottle of AlphaTest® features fully disclosed ingredients with nothing hidden inside proprietary blends. Also, each batch of AlphaTest® undergoes strict quality control and is third-party tested and verified to ensure that each bottle meets the highest standards of purity, quality and consistency. You can trust that what is listed on the label is in the bottle! Take 2 capsules with a glass of water 2 times daily. Do not exceed 4 capsules in a 24-hour period. Read the entire label before use and follow directions provided.